Today’s post was made out of necessity. When your kid starts preschool they come home with all sorts of notions and experiences they want to recreate. This week it was paper bag puppets. 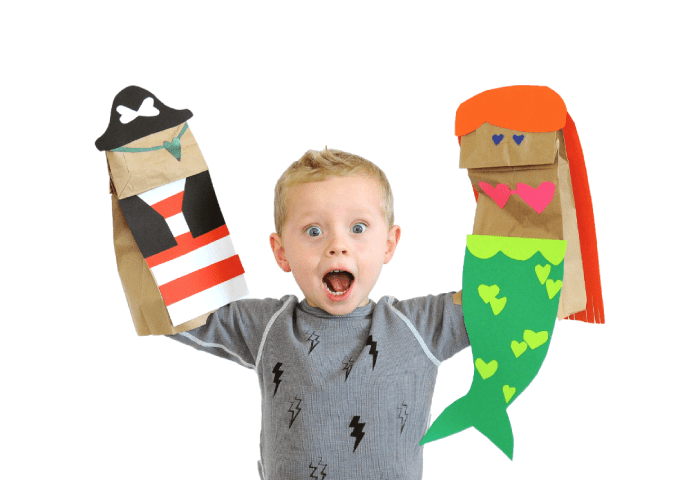 Turns out paper bag puppets are a really cost-effective way to create imaginative playtime based on whatever favorite character or animal your kids are into that week. Whether it’s pirates and mermaids, superheroes and princesses, cats and dogs, these puppets don’t take too long and they cost you less than a couple dollars. 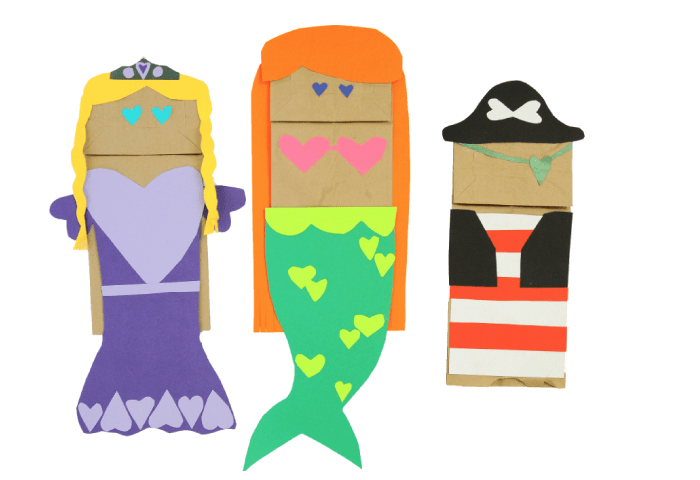 We’d tell you how these were made but that’s the great thing about paper bag puppets, do whatever you like! We had a loose Valentine’s Day theme, so hearts abound, but other than that everything was done without much thought. We’ve been trying to think of some good names for these guys, something nice and punny. Princess Lavender, Shelly Sharkbait, Captain L’amour. We know you can do better, help us out! More imaginary play posts: Cereal Box Jet Packs, Animal Masks & Tails, and a Cardboard Airplane company created by 13 year old Noah called Paper Box Pilots. Also, we are excited to be apart of this project with Davina Fear! 25 parents sharing the simple ways they connect and show love to their kids throughout the day. Nothing fancy, just you and your child. Sign up to receive the PDF here. Coolest paper bag puppets ever. 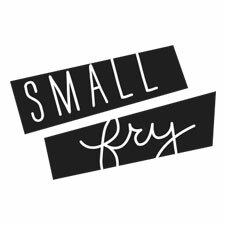 Small Fry ladies! Thank you so much for being part of this beautiful project. Your contributions are superb!